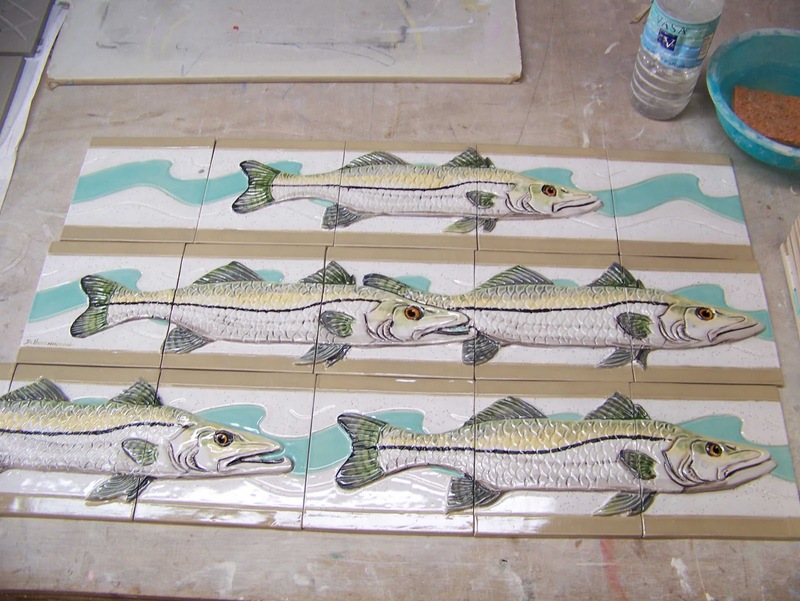 The snook fish tiles are done. I need to cut them to fit the area and then ship. I think I can finish that by Fri. I also scored the backs of the marlin mural tiles. Now they need to dry under cover of drywall. This is to keep tiles flat as they dry. Please let me know if I can answer questions. 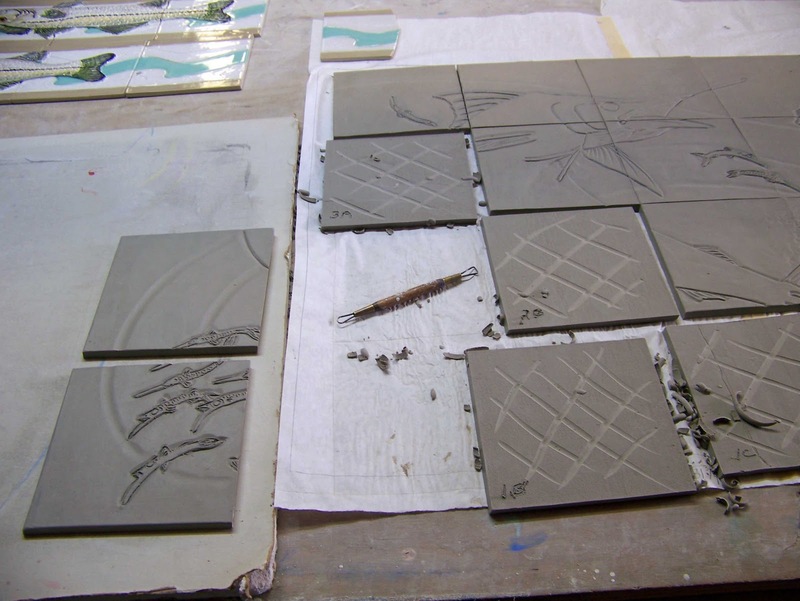 I am available for classes and workshops.